WHAT’S the connection between onions and bike riding? Well, until a few weeks ago, none. 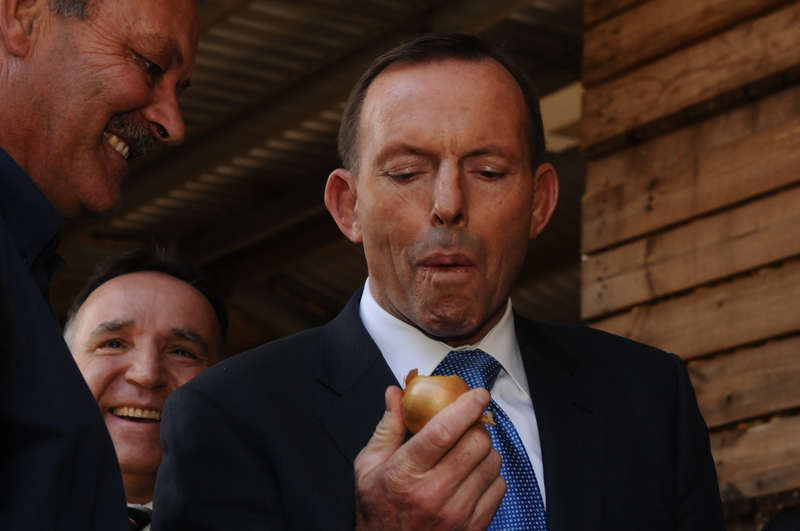 Then along came bike-riding fanatic, Prime Minister Tony Abbott, who managed to overshadow his own game-changing announcement of $200 million for Tasmanian exporters by chomping into a raw, unpeeled onion. The onion movement couldn’t believe its luck, with the photo touring the world in record time. export orders and a new passion for the humble, and somewhat ignored onion. The fact that Mr Abbott was in Tasmania to announce the broadening of the Tasmanian Freight Export Scheme to include exported products, which are shipped from Tasmania via mainland ports to international markets, was significant in itself. Two weeks later, he was back in Tasmania for the national fundraising launch of the Pollie Pedal Bike Ride. The Tasmanian launch was a priority preceded by former PM Malcolm Fraser’s funeral in Melbourne on the Friday and a direct flight out of Launceston on the Sunday for the funeral service of Singapore PM, Lee Kuan Yew. True to his support for the Tasmanian leg of the ride, Mr Abbott was back in Tasmania this next day to complete the North East to Launceston section. While Onions Australia ponders whether the onion should be recommended for a knighthood, the more serious judgement of the PM’s performance during those weeks were the polls, which showed a significant improvement in his personal ranking and the government’s. The NSW victory contrasted the demise of Liberal governments in Victoria and Queensland, with the NSW state government re-elected with a comfortable majority, while the PM was pushing the pedals on a glorious autumn day through the Tamar Valley into George Town. 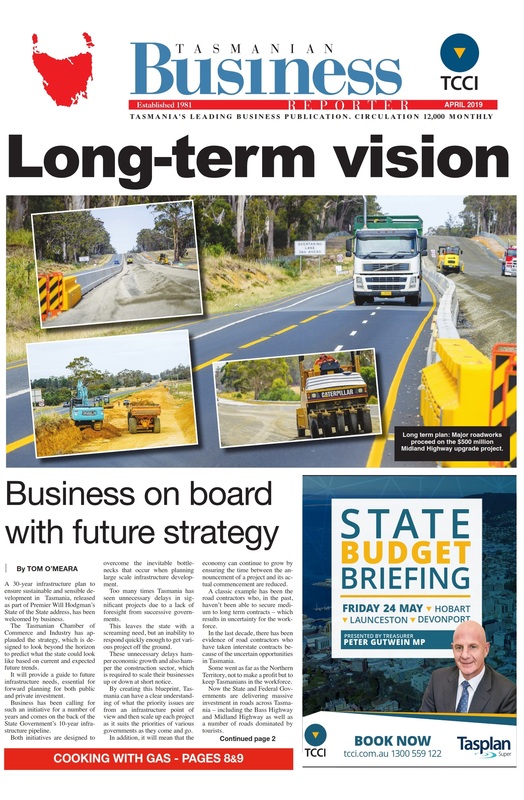 With the polls showing the Tasmanian government standing up extremely well in its first year of office and retaining its weighty primary vote position, the regular visits by the Prime Minister to Tasmania may be a winning formula. I’m sure his minders will be in contact with Launceston’s world-ranked cyclist, Richie Porte to set up a few training rides later in the year with Richie and his mate, Tour de France winner Chris Froome, as they pedal up and down and around Tasmania’s north east. Federal Treasurer, Joe Hockey, was also beavering around the state visiting tourism venues in the north between business meetings. No doubt there was some onion chewing as he and the PM dissected the numbers for next month’s federal budget, which could define the outcome of next year’s federal election. You wouldn’t expect a sting in the tail, or teary eyes as a result of this budget. So the humble onion is now the catalyst for helping resuscitate the PM, getting us all back on the bike and making the world take notice.